The TEF ARMA 1 server is patched to 1.18 and ACE v1.09. Avgani addons are optional. The server is privately hosted on a periodic basis. 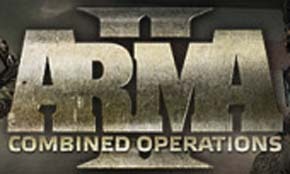 The TEF ArmA 2:CO server runs patch 1.62 and ACE2 (v1.14) but is privately hosted. See guide below on how to use the Six Updater to configure your ACE2. From PvP games to coop joint missions, TEF enjoys developing as part of the larger ArmA/ArmA2 community. If you enjoy our TEF original missions, our enhancements to other missions done by others in the ArmA community, game videos, or just enjoy playing on our server please leave a comment in our forums. We enjoy suggestions and feedback. If you would like to donate to TEF, please click here. All funds go directly to supporting TEF's expenses. NOTE: OFP server decommissioned on 3/20/2009.